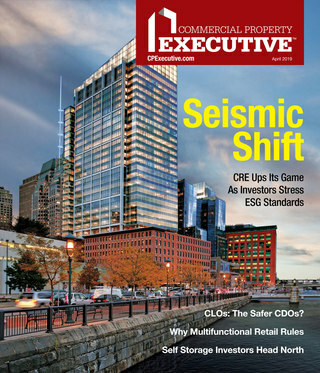 New York—Not all costs are spelled out in a lease agreement, according to Dylan Pichulik, CEO of XL Real Property Management. 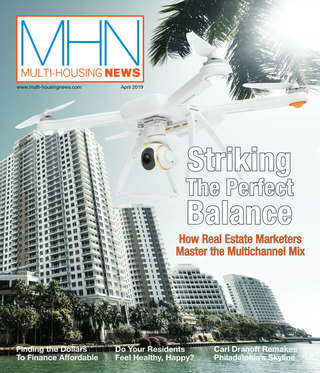 MHN interviews Pichulik about hidden costs associated with rental units. MHN: Tell me about XL Real Property Management. Pichulik: I created XL Real Property Management as a way to better serve offsite owners and their property management needs as more and more NYC property buyers from overseas were scooping up investment properties here in the City. Since many of these foreign investors do not necessarily understand the work and many different intricacies that go into owning property here, my team helps provide a local resource that handles daily operations, like rent collection or property renovations, that many these offsite owners are unable to do from thousands of miles away. We currently have a roster of clients based both across the United States, as well in countries such as China, Australia, Russia, Venezuela and more. MHN: What are some hidden costs of rentals? How can these be avoided? Pichulik: There are quite a few additional expenses that come attached to many rental units, both in New York City and elsewhere in the country, that many people are generally not aware of. If an apartment has floor-to-ceiling windows or high ceilings, it is harder to maintain a consistent temperature, especially during the summer and winter months, causing energy bills to increase drastically. Tenants should utilize heavier curtains for the apartments with floor-to-ceiling windows, in order to maintain a consistent temperature, depending on the season. Backyards, especially in cities, are not something that renters typically factor in as an additional cost. However, unless a landlord specifies in the lease that they will maintain the backyard for a tenant, the tenant is responsible for maintaining the space, which can cost tenants of $1,000 annually. A way to avoid this cost is to negotiate the overall maintenance costs with the landlord upfront, in order to better understand who will be responsible for certain outdoor maintenance fees. Common amenities, such as meeting spaces and rooftops, can come attached with fees in order for residents to rent out the space. Tenants can typically avoid these costs by not utilizing the space. Tenants may also benefit from creating a detailed cost benefit analysis or asking upfront before signing the lease, so these charges do not come as a shock. Many tenants do not consider the financial impact of losing a deposit, which could easily cost in excess of one month’s rent, if the damage is extensive and outside the normal wear and tear of the apartment. Also, if a tenant wants to make cosmetic improvements to the apartment, such as painting, replacement of light fixtures, or other decorative changes, they must obtain consent from the landlord as well as pay out of pocket for any cosmetic upgrades. This cost could fluctuate heavily based on the scope of work done. Travel costs are a factor that many do not consider, and this can be a huge one, especially for renters living in New York, as this typically means travel between boroughs, whether you work in, or a majority of your friends live in, a different borough. Taxi fare can be steep, and depending on the frequency with which you rely on them, can quickly add up to several hundred dollars per year. Before being lured to a new neighborhood because of cheaper rent, be sure to consider how often you could be travelling for work or socially. MHN: How much responsibility do the owners have to inform renters of these? Pichulik: The owners are not required to disclose these additional costs, since many of these extra fees are stated in the house rules that the tenant must review before signing and others are based on the personal lifestyle choices of the renter. For example, the owner is under no responsibility to disclose energy costs unless they are covering a portion, such as heating. The only cost that should be outlined directly in the lease and discussed with the landlord is the backyard space, as well as any added fees for use of amenity space. MHN: Do the hidden costs affect the owners and landlords too, or just the renters? What are costs specific for them? Pichulik: These hidden costs typically only affect the renters, except if a property comes with a high number of added fees that would make a unit less attractive to renters. For example, if an owner is charging a higher security deposit or more for amenities than similar homes in an area, it could affect how long a unit is sitting on the market. MHN: Is this an issue for all renters or in particular NYC renters? Why? Pichulik: These hidden costs are not necessarily an issue faced solely by renters in New York City; they are, in fact, actually something that renters across the United States encounter. Outdoor space, in particular, might be a hidden cost affecting the more suburban market outside of New York City, as their rental spaces are much more likely to come with a backyard or outdoor space attached.